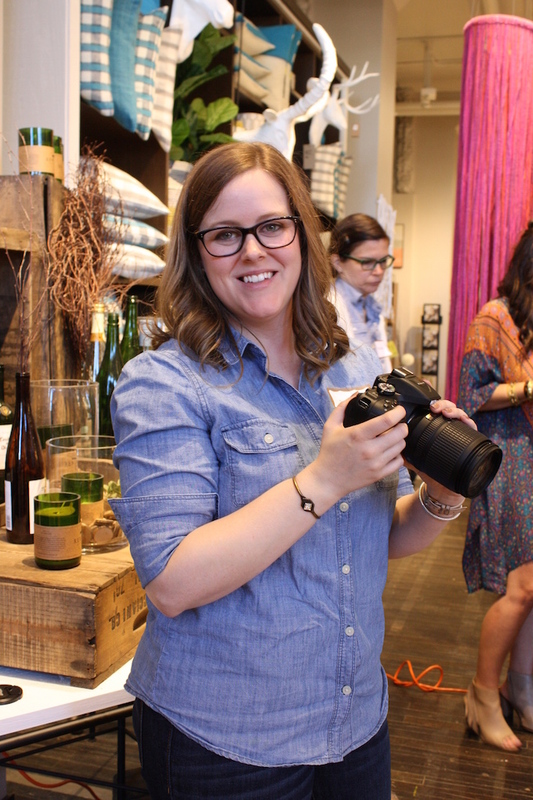 A few weeks ago, my future sister in law, Kaci, and I spent our Saturday morning being flooded with photography and styling knowledge at one of Annette Joseph's Style+Photo Workshops. 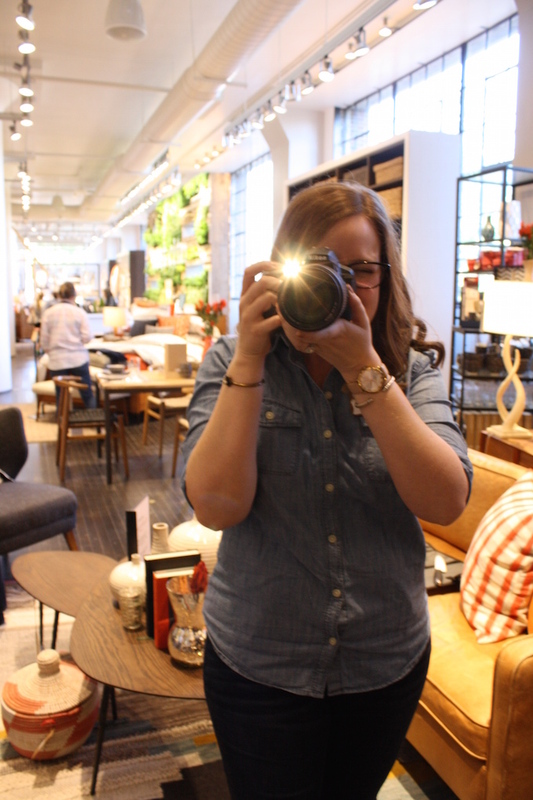 Professional photostylist Annette along with veteran photographer Christina Wedge set-up shop at Ponce City Market's West Elm location. The West Elm at Ponce City Market has the most adorable coffee shop tucked into one of its corners which served as the perfect location for our workshop. The morning began with a little lecture about styling from Annette. During Annette's talk, she discussed some stylist secrets while showing us examples of what to do (and what not to do) when styling photos. As bloggers, interior designers, and amateur photographers, this lesson was especially helpful, and I have to say that I've been using a few of her tricks when styling my blog photos. Color triangle? Yes please! Next we heard from Christina who walked us through different aspects of our camera and learning about what each button really means. We spent a lot of time in F-Stops and lighting which was incredibly useful to learn what those things actually mean. 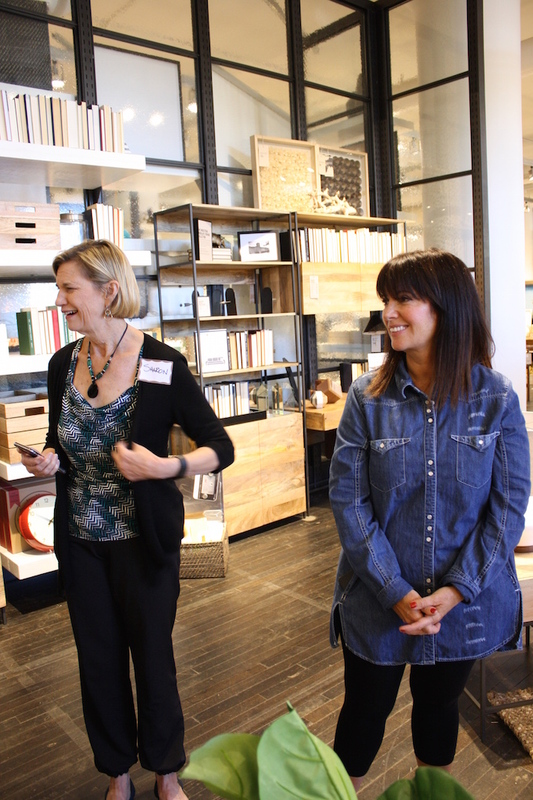 Once we wrapped up our lessons, it was off to see Annette and Christina in action. 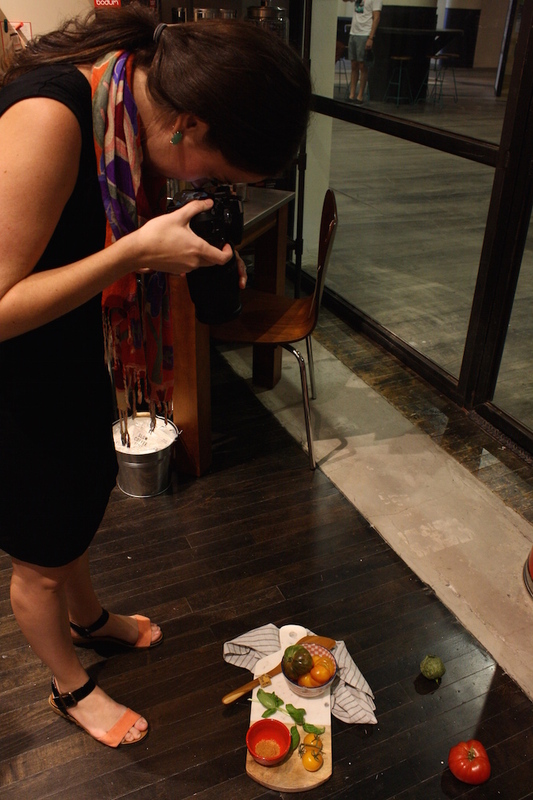 I loved seeing Annette work her photo styling magic as well as how she works seamlessly with Christina. And watching Christina and Annette make the tiniest adjustments to subjects to get the perfect photo was really insightful. I think that was one of my biggest takeaways. So often we want to make these huge, drastic changes to photos, but really, we just need to move fabric just a hair or wiggle that bowl the other direction. Small changes = big impact. 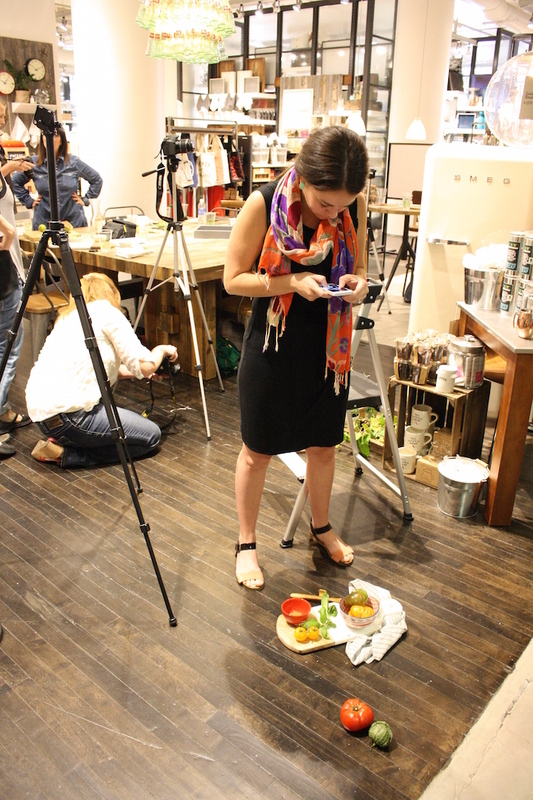 The day wrapped up with working in partners to style food and then some of West Elm's interiors. Kaci and I worked to tell a story about the food we were working with: making pasta for a date night at home. We're pretty proud of what we came up with! 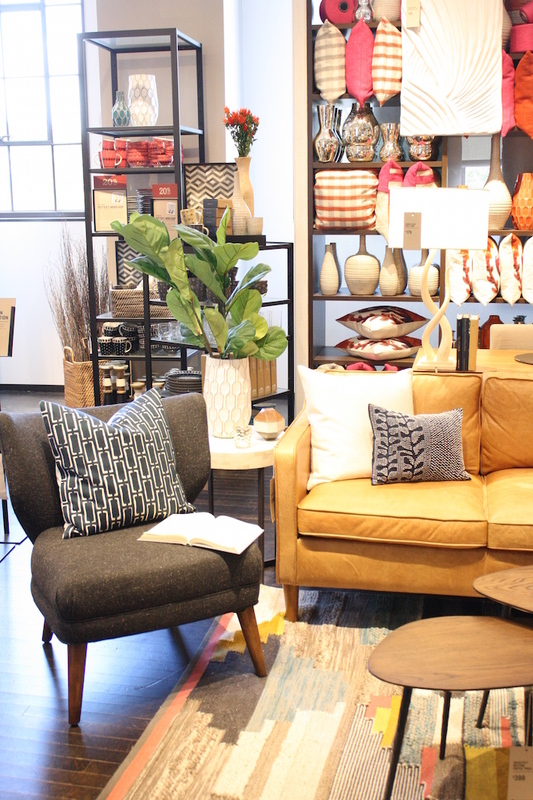 As for interiors, we chose a beautiful camel leather couch that was full of punchy pinks. We decided to tone down the colors a bit, and looking back on our work, I am impressed with our use of what was already set-up by making it look totally different. A true team effort! We went from all of those pinks and oranges to more neutral, soothing tones of navy, white, and gray. A subtle change with a huge impact. It's amazing what pillows and greenery can do to a space. Our movements even make the shelving in the background look more neutral. If you're interested in taking one of Annette's workshops, she has one coming up in June...in Italy! I have no doubt it will be an amazing experience. Learn more on her site. Thanks to Annette and Christina for imparting your knowledge on us. We had a blast! wow this look like so much fun! i love how awesome you are within the community my friend! hope to see you again soon!